Today, the show that I host, Stl Tv was packed full of excitement and fun. I interviewed Cassandra Hage, who was promoting an Earth Day festival here in St. Louis, Mary and Jeff Clarke of Mother Model Management, a top model scouting agency and a very eclectic hip-hop artist, Thelonious Kryptonite. 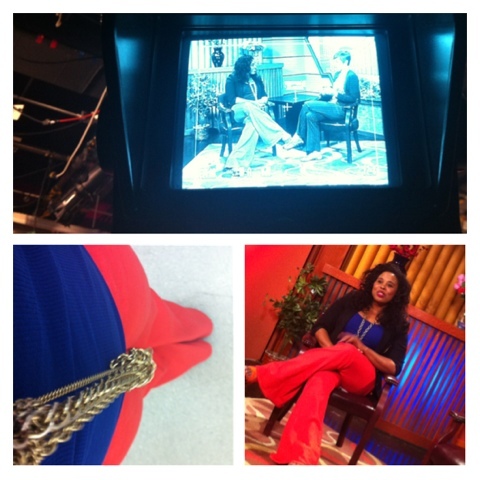 To top it all of i’m wearing bell bottoms today and loving it! Let’s bring back the 70’s! Mary and Jeff Clarke of Mother Model Management….They are an amazing duo scouting models across the country and making them WERK!!! Karli Kloss is on their roster!! How amaze! Thelonious Kryptonite, one of the most eclectic hip hop artists I know! you gotta check this interview out!